Students participating in the after school makerspace at St. Raymond use tools designed for adults because our students will become adults. 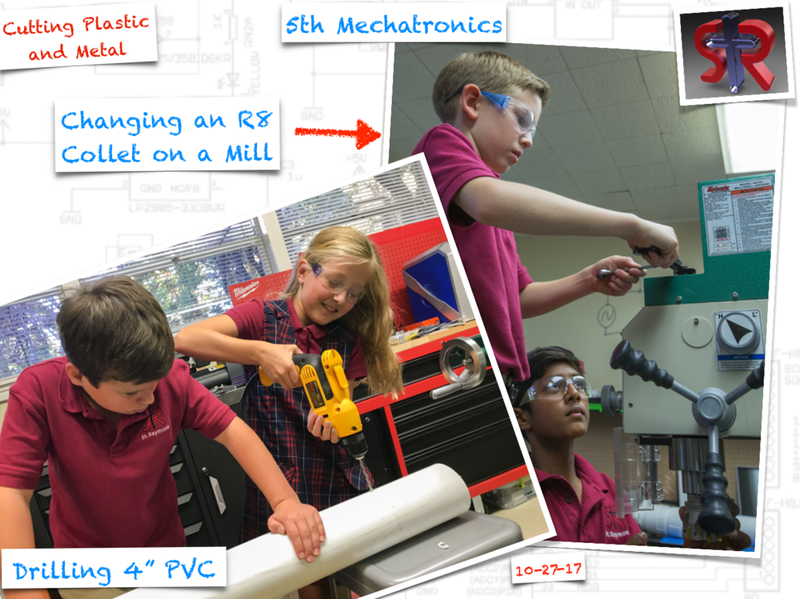 In the pictures below you will see a 4th grader picking up a full-sized 15amp power drill to cut into 4" PVC pipe and a 5th graders operating the drawbar to change out an R8 collet with holding a tungsten carbide fly cutter. Our students use the exact same tools engineers use in the real world because they aspire to solve real world problems!